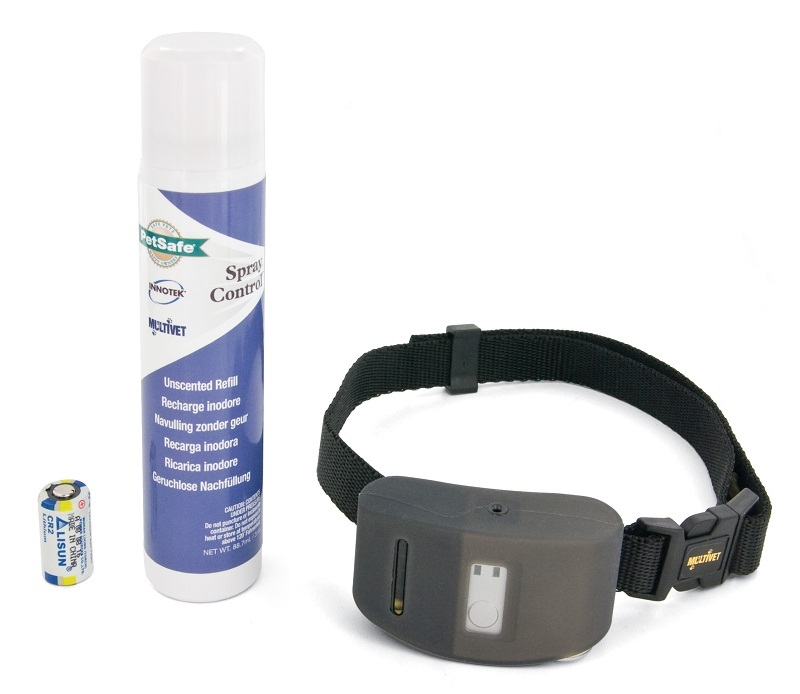 These collars automatically release a scented spray under your dogs nose to discourage him from barking. A burst of lemon-scented spray is emitted to deter barking only if both the vibration from vocal chords and the sound from the bark match the same criteria making it great for noisy or multi-dog households. 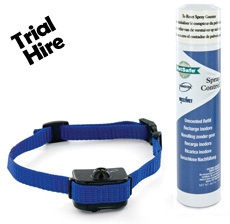 The compact spray antibark is suitable for any size of barking dogs. Each time your dog barks the bark sensing unit releases a brisk and surprising jet of citronella spray towards the dog's muzzle area. Your dog hears it, feels it, sees it and most importantly, smells it. 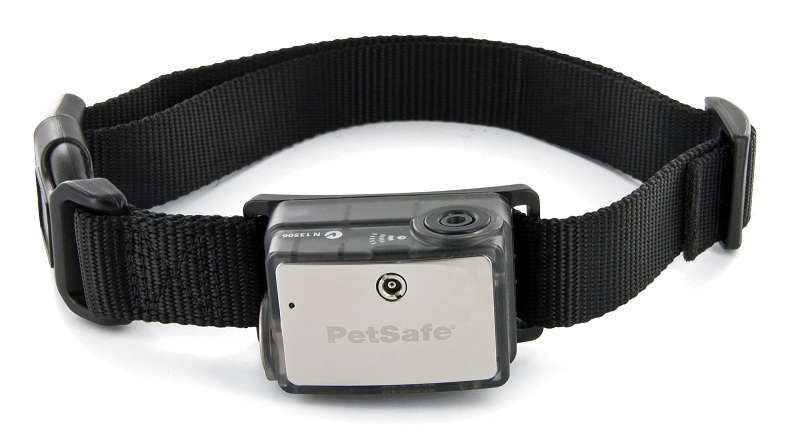 The Anti-Bark Spray Collar stops your dog at the very moment he starts barking. 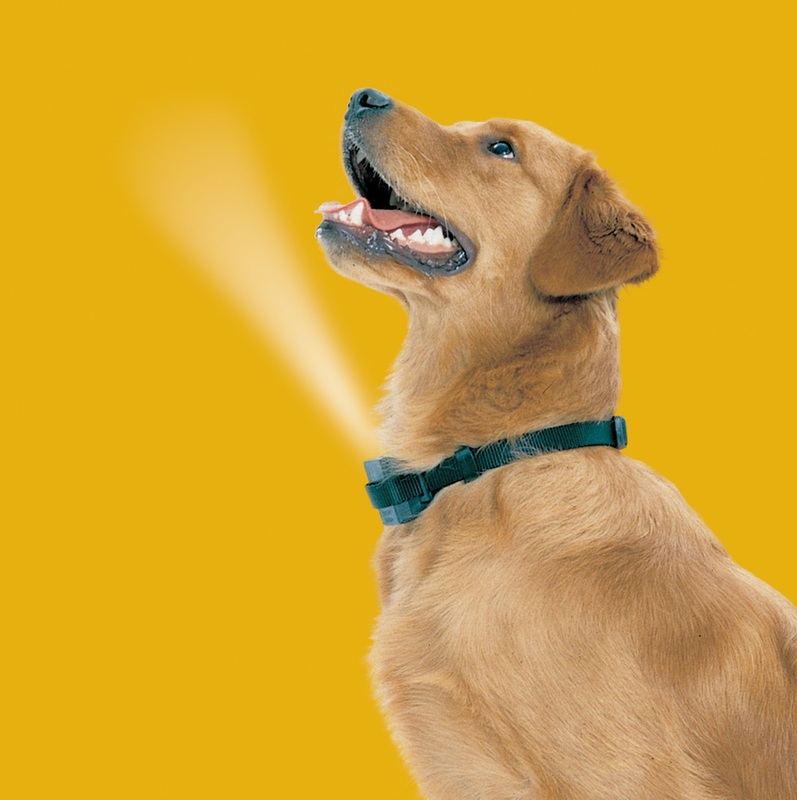 Each time the dog barks, the sound-sensitive collar releases a harmless spray that interrupts the dog's barking. Use of the product gradually conditions him to stop barking. Your dog will adapt quietly and easily to his environment while providing your family peace of mind. This simple, easy-to-use collar teaches your dog to stop his annoying barking. His bark automatically activates a quick unscented spray, surprising him and breaking his cycle of barking. Only his bark triggers a correction - great for multi-dog homes. No external controls or settings to configure - training your dog couldn't be easier. This smallest bark collar currently on the market. For small dogs up to 26 kg (55 lb). 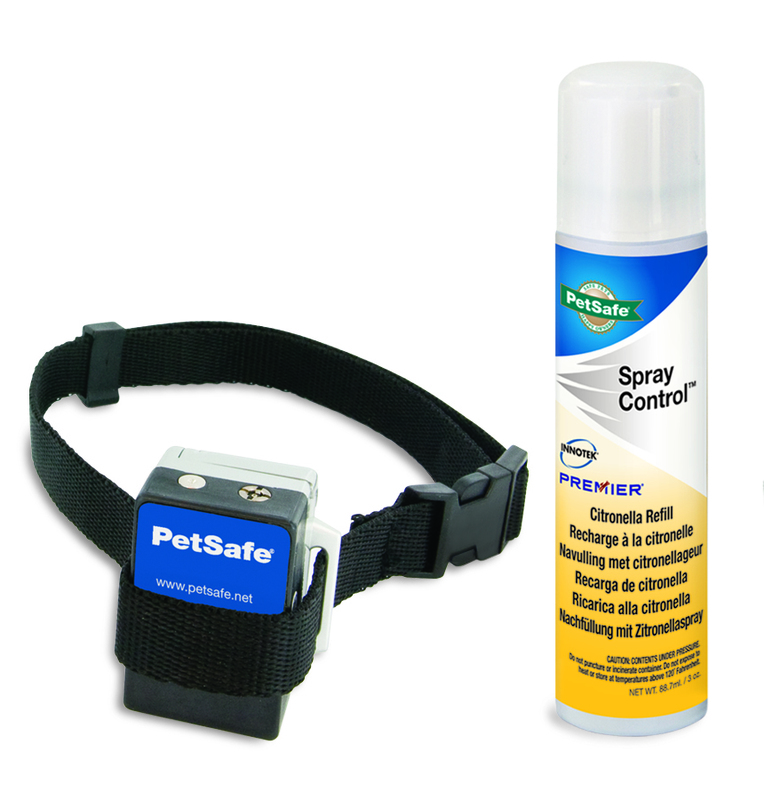 The PetSafe Big Dog Deluxe Spray Bark Control Collar senses your dog's barking. A unique, patented sensor uses both vibration of the vocal chords and sound sensors (Perfect Bark - dualdetection) to distinguish each bark from other external noises. As he barks, he receives a safe but annoying burst of spray.